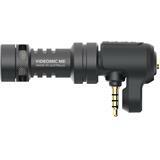 Vmic Pro Advanced On-Camera Shotgun Microphone for DSLRs, Mirrorless, Video Cameras and Audio Recorders. 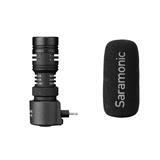 The Saramonic Vmic Pro is a professional shotgun microphone that’s been meticulously engineered to be used with DSLRs, mirrorless cameras, video cameras and audio recorders to provide rich, broadcast-quality sound and a versatile array of features. 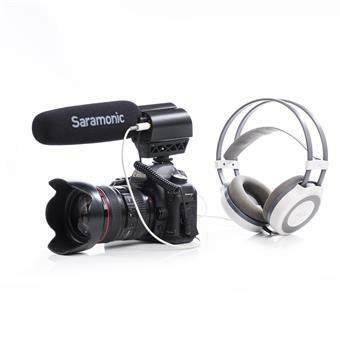 The impeccable sound quality of the Vmic Pro is achieved in part with its full spectrum 20Hz - 20KHz frequency response. 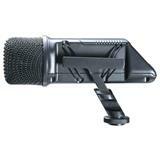 Best of all, the Vmic Pro is incredibly easy-to-use and has features that cannot be found on competing microphones. 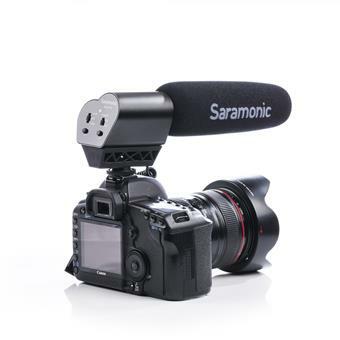 A built-in headphone jack on the Vmic Pro lets you always hear your sound, even when your camera lacks a headphone jack. 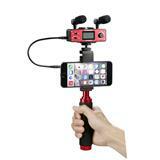 The body features durable metal construction that was built to withstand the rigors of video production. 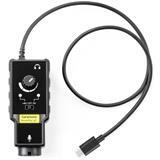 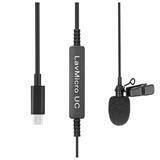 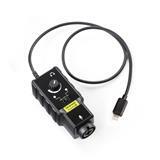 A short 1/8“ (3.5mm) output cable is included to connect to your camera or recorder. 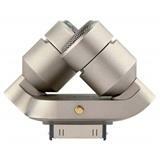 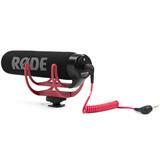 It’s detachable, which allows you to use any 1/8“ (3.5mm) cable in its place. 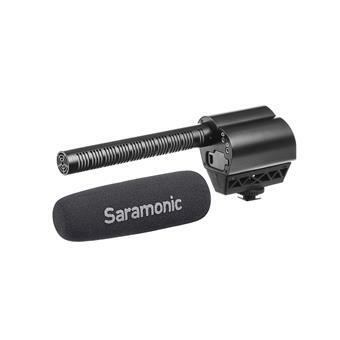 When you need more length, you can easily swap out the included 8-inch cable out for a longer one to mount the Vmic Pro on a boompole or a stand. 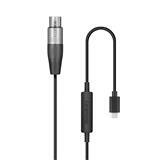 This can be accomplished with standard male 1/8“ (3.5mm) cables, without requiring you to use less common female-to-male extensions. 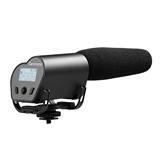 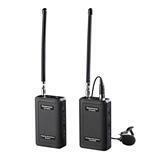 A foam windscreen is included for indoor use, and for outdoor recording in higher winds you can use the VMIC-WSPRO fitted furry windscreen that was designed for the Vmic Pro (sold separately). There are additional features that make the Vmic Pro even more versatile. 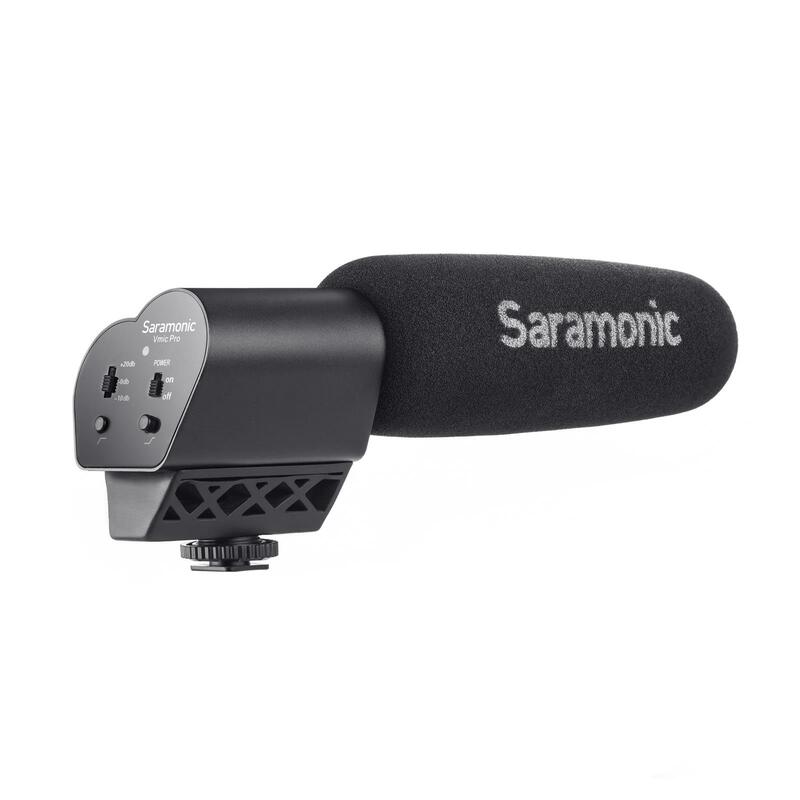 A +20dB boost setting lets you to turn down your camera’s noisy preamp in order to achieve an ultra-clean sound as well as letting you pick up subjects from further away. 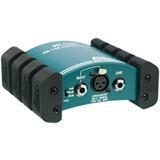 A -10dB setting lowers the sensitivity of the Vmic Pro so you can cleanly capture audio in loud environments. 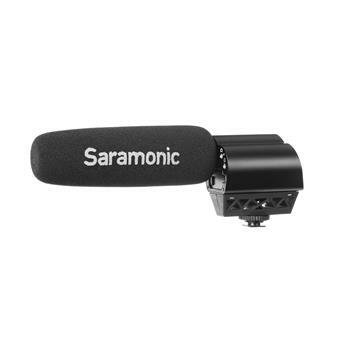 A low-cut button makes dialog more intelligible and eliminates unwanted deep bass sounds, like distracting vibration noises from footsteps. 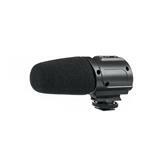 A high-frequency boost button enhances the sharpness and clarity of the sounds you capture. 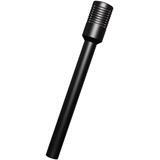 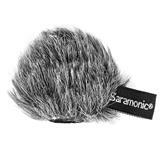 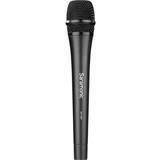 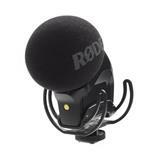 If you want the best sound quality for your productions, this is the microphone you want to use.